Multifamily For Sale. 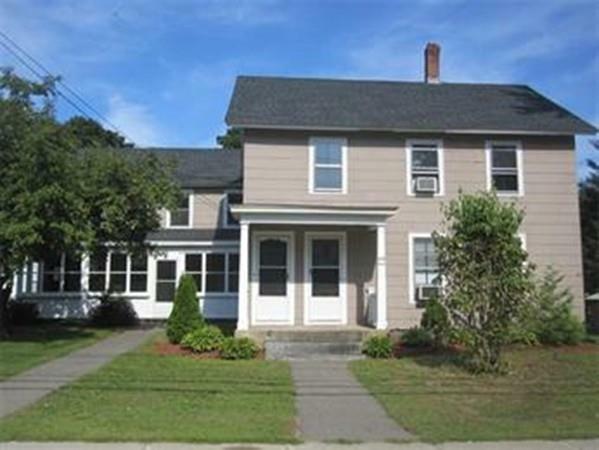 Great Opportunity to own a well-established investment property in Littleton. You will be impressed with the location and cash flow. Two spacious apartments, each with an eat-in kitchen, in-unit laundry, large living room, front porch & multiple parking spaces. Wonderful details: wide pine floors, crown moldings, built-ins. A large private backyard. The roof, heating system (gas), and electrical have all been updated within the last 10 years. Separate systems & meters for each tenant. The home is just minutes to I-495 , Rte 2 and Commuter Rail. Walk to the shops & restaurants in Littleton Common. Close to Nashoba Ski, Long Lake beach/trails, and the Point Mall/Movies. Listing courtesy of Robin Flynn Team of Keller Williams Realty-Merrimack. Disclosures Buyers To Do Own Due Diligence Regarding Property info. Photos Taken Before Tenants Moved in. Listing provided courtesy of Robin Flynn Team of Keller Williams Realty-Merrimack.